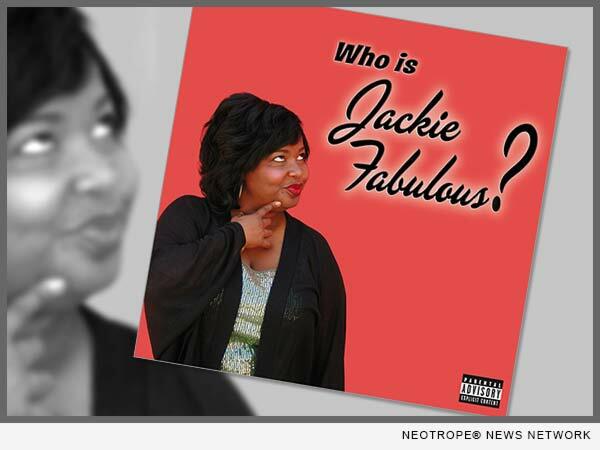 LOS ANGELES, Calif. /California Newswire/ — Uproar Entertainment is excited to announce the release of “Who Is Jackie Fabulous?” Recorded in front of a live audience at Harvey’s Comedy Club in Portland, Oregon this CD features the multi-talented Jackie Fabulous – a comedic force to be reckoned with. JACKIE FABULOUS, a native New Yorker from The Bronx, is a gut-busting, headlining comedian who uses comedy to simultaneously entertain and inspire her audiences. Having survived her fair share of loves, tragedies, lessons and embarrassing moments, Jackie channels all of that energy into a performance that makes it difficult not to want more. She comes with a message and a lesson that surpasses the stand-up comedy club stage and sets her apart from her peers. Before Jackie was the self-proclaimed Ambassador of Girls Night Out from the East Coast, a standup comedian performing to sold-out audiences all over Southern California, and a multifaceted entertainer, she moved to California to get a law degree and a husband. After successfully doing both, she realized that she was better suited to play a lawyer on television than to be one, and that the true love of her life is Stand-Up Comedy! Once she realized her destiny, Jackie moved on to become a multifaceted performer riding waves of laughter by connecting with all races, genders, and socio-economic classes on a very personal level. More than just a funny lady, Jackie Fabulous has brains, supreme confidence, personality and wisdom that make her a comedic force to be reckoned with. She is at her best when she unabashedly speaks her truth. She’s like Oprah, Rosie, Ellen, and Martha rolled into one. When Jackie isn’t dropping knowledge on laughing crowds nationwide, making television appearances, or developing her own brand of talk show with her team, you can find her acting, giving motivational speeches, and authoring a book. Her talents have helped her explore and transition into other mediums of entertainment, including writing and producing for television. Jackie Fabulous is a Star! Her diverse style of comedy has allowed her to work with comedy legends and inevitably become the star of the show. She comes to entertain. She is the kind of comedian you really want to get to know, and who will reward you with laughter and a lesson. The empire she is building is not by chance. She is passionate about inspiring others, by transcending labels, and changing the world, one joke at a time. Her relatable and shameless pursuit of the laugh, even at the expense of revealing the most personal parts of her life, is why she is a force…a Fabulous Force Of Comedy Nature! “As the guy who discovered Jon Stewart, Ray Romano and a bunch of other star comics I have a sense of who has ‘it.’ Jackie Fabulous has it. I’d watch her do just about anything legal,” said, Billy Grundfest (Founder of New York’s “Comedy Cellar”).